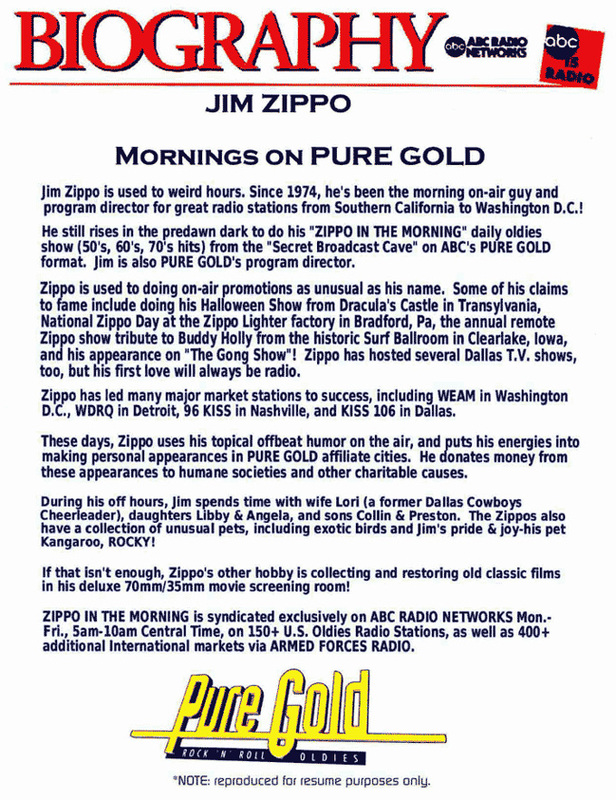 The idea was to spice up the Zippo employee picnic by having radio personality Jim Zippo & his co-host Maria Danza remotely broadcast their nationally syndicated “Zippo in the Morning” show from the Zippo Family Store & Museum. 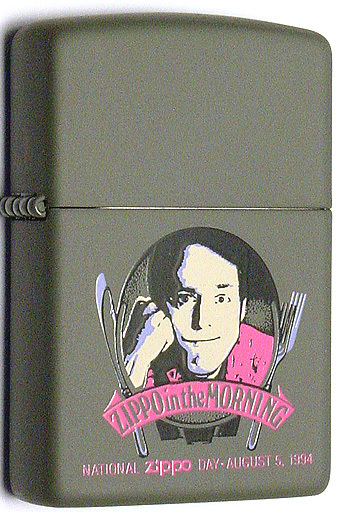 “Zippo in the Morning” aired on 150 stations to an audience of 1.1 million. 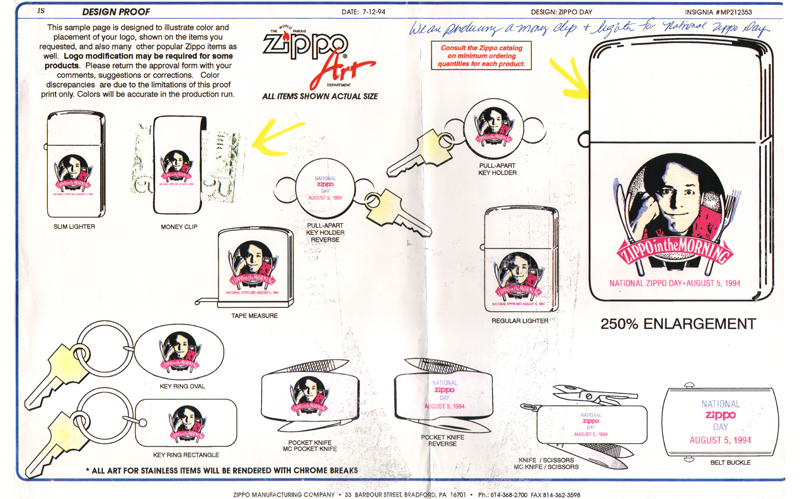 Jim Zippo began a contest in July that offered listeners the chance to win a Zip-Trip including a V.I.P. trip to the Zippo Family Store & Museum, a weekend in Niagara Falls & various Zippo prizes. 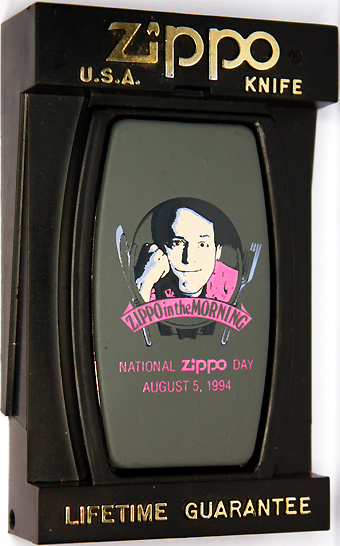 Jim Zippo dubbed the successful event “National Zippo Day”. The weekend that featured on-air prize giveaways, limited edition collectibles & the Zippo employee picnic had become an instant sensation. Although the handwritten note on top right of the design proof says "We are producing a money clip + lighter for National Zippo Day" it was a pocket knife w/money clip instead of a money clip that was produced.